Bloomex - Order Flowers Quickly and Securely for Canada Delivery :: Order from a Trusted Canadian Online Florist - GRANDPARENTS DAY CONTEST! If we are lucky, most of us have fond memories of our grandparents—those very special people who love you unconditionally and discipline you a little (or a lot) less than parents, who give excellent advice if you are smart enough to ask for it, who tell you stories of the past, who laugh at all your jokes, who are delighted whenever you visit or pick up the phone. 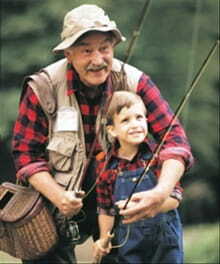 Grandparents are a repository of family memories, with wisdom and experience that are gained only through longer living. After giving so much to the next generations, they deserve some recognition and more than a little love given back. 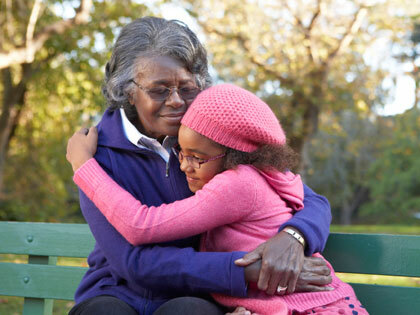 You may not be aware of it, but for these reasons and many more we have a National Grandparents Day! Canada, the U.S. and many other nations have set aside a special day to recognize and remember the valuable contributions made by our senior members of society. It all started back in 1970 when Marian McQuade, a West Virginia housewife, came up with the idea of a day set aside to encourage families to visit their elderly relatives. She lobbied and promoted tirelessly until President Carter signed the day into law in 1978. There is even a Grandparents Day song: A Song for Grandma and Grandpa, and an official flower: the forget-me-not. There is no doubt that grandparents are worth it. Don’t forget them. To them, you are the most important people in the world. Take a little time this September and send some love their way. Grandparents Day is September 7, 2014. SHARE YOUR BEST MEMORY OF A LIVING GRANDPARENT! It could be funny or nostalgic, uplifting or serious—whatever stands out to you. Tell us in your own words why they deserve a special surprise this September. Send your entries to contest@bloomex.ca. A short note is fine, and photos are welcome! 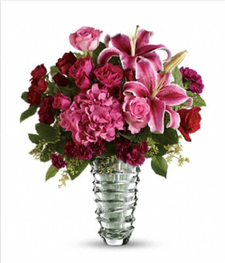 THE TOP 3 ENTRIES WILL RECEIVE A GORGEOUS DESIGNER COLLECTION BOUQUET, A $100 VALUE! Delivery Friday September 5. Contest begins TODAY, and ends Monday, September 1, 2014. Good luck! 1. By submitting your story and/or photos, you agree that they become, as submitted, property of Bloomex, and allow Bloomex to post your submitted materials publicly on sites including but not limited to, bloomex.ca and the Bloomex blog (bloomex.blogspot.ca). Bloomex is happy to change or provide only first names of people involved in the stories; please just let us know in your email if you would like us to do this. 2. The winning stories will be determined by a panel of Bloomex employees. 3. DEADLINE FOR ENTRIES is Monday, September 1, 2014, at 12 p.m. Eastern Standard Time. 4. 3 winners will be chosen, with each winner receiving a custom designed Designer Collection bouquet free-of-charge from Bloomex on or around September 5, 2014. 5. Recipients of bouquets must live in Canada or the United States.